So, if you are looking around your garden and feeling a little despair and fret over the number of ugly looking plants in the ground right now – take a deep breath and let your worries go. Some of those plants may actually come back for you. It has been a while since we have had a real freeze like we did this winter and all of us have a gotten a little complacent about protecting our plants. I guess maybe I should only speak for myself. Ok. So, I have gotten complacent, or maybe the better word is busy. Anyway, I did not protect a thing in my yard or on my patio and it’s not the prettiest looking garden right now, but there is hope! Though my hibiscus are looking awfully scraggly right now, I know those beauties will come back and be blooming in 3 to 4 months. Yes, I will have to be a patient gardener, but my patience will pay off in the end. Once we are free and clear of freezing weather, I will cut my hibiscus back to green wood, leaving at least six inches from the ground. It’s amazing to me how these plants can come back. If you have hibiscus in your yard too and you just can’t wait to trim off some of that ugliness, you can, but leave at least 1″ of ugly for now. Yes, I said it. 1″ of ugly. This will give the plant a little bit of protection if we have another freeze. You can trim back other woody perennials the same way too. 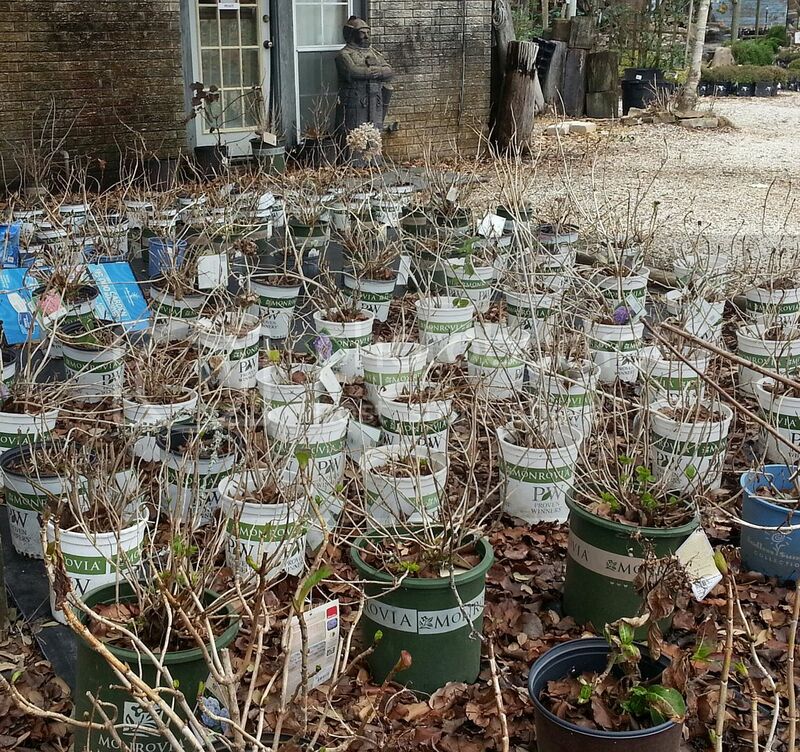 Don’t forget there are lots of shrubs and trees that are supposed to lose their leaves before or during winter (they are deciduous) – Redbuds, Figs, Blueberries, some Blackberries, Mulberries, Apples, Pears, Plums, Peaches, Persimmons, Nectarines, Hydrangeas, Japanese Magnolias, Crape Myrtles, Japanese Maples, Mock Oranges, Quince, Spirea, some Viburnums and Beautyberries as well as others. Not everything needs to be pruned or trimmed. A lot of deciding how to trim or prune is up to you – training to a specific shape, removing unwanted growth or to grow on a trellis, etc. You get to decide. Funny, I often choose not to trim or prune, but I guess that’s mostly because I forget to do it until it’s too late. Nearly all fruit trees are deciduous except citrus, loquat, kumquat, guava, avocado, mango, pineapple guava olive and a few others. These trees should remain full of leaves through a winter freeze (if protected). 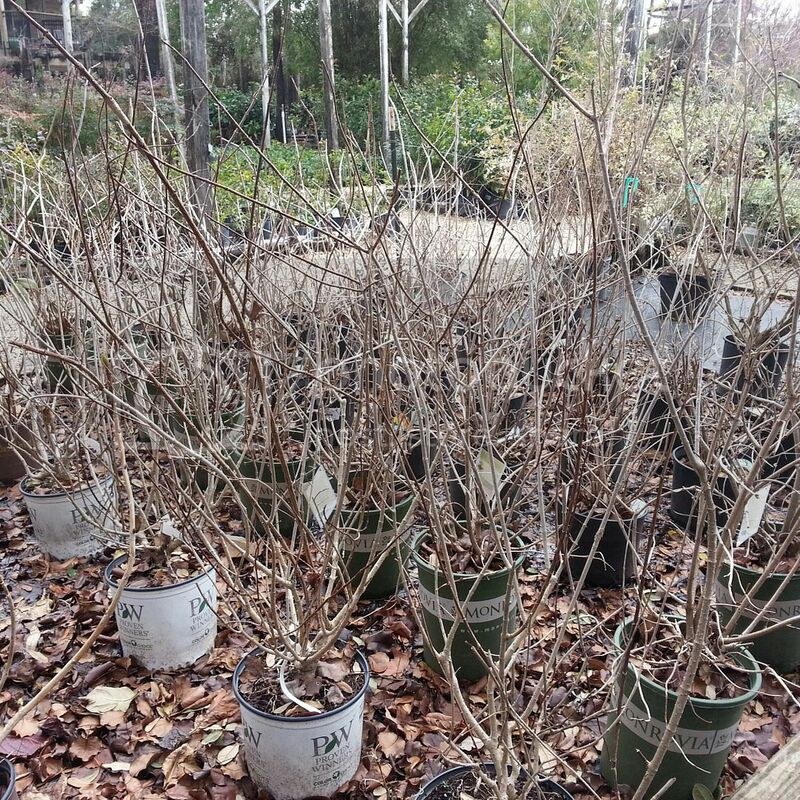 If they look freeze damaged, the same rules apply as for woody perennials. You can trim some, but it’s best to wait until after threat of freezing temperatures is over for the season. Sometimes it takes days or longer for freeze damage to really show up on plants. So, it’s important to give your plants a little time after a freeze before you assess the damage. Because tropicals are used widely in our area landscapes, we need to be especially mindful of protecting them. Though many are hardier than you would think, most would need protection from freezes. Plants like Cannas, Elephant Ears, Bird of Paradise, Begonias, Philodendrons, Ixoras, Bougainvilleas, Gingers and Banana Trees fall in the tropical category. If the plant has slimy, mushy, smelly or oozy areas, cut those areas out pretty quickly. If that “gross area” occurs low down on the plant, hope for the best after you trim. Give your plants a chance to recover, but if you don’t see new growth into the first few weeks of spring, you are probably not going to get that one back. I see that as an opportunity for experimentation. If you have succulents in your yard, I am hoping you did protect them. They are particularly sensitive to freezing. I was a very lucky, lazy gardener this year. I did not protect mine and they are mostly fine (except some kalanchoe that I will have to cut back pretty drastically). Can I say again just how lucky a gardener I am? Lastly, you can help your plants be less susceptible to freezing by making sure they are healthy and taking good care of them throughout the year. Water well and regularly through the year and especially water well before a freeze. Mulch to protect the base of your plants. Fertilize your plants during the growing season, but not during winter. New growth is tender. Cover your tender plants with freeze cloth if you can and make sure the this cloth is secured at the ground to create a tent. If you have potted plants that are tender, move them inside if you can or move them to a more protected location if you can’t bring them in (next to a wall of the house, or just out of the wind and under a tree is better than nothing). And remember, plants don’t live forever. A plant that has made it through multiple freezes might not one year. It happens. Also, some plants are annuals and don’t survive more than one season anyway. Usually those bedding plants that you add for color are annuals or short-lived perennials. That’s just another opportunity to change things up in your garden! Camellias, Daffodils (and other bulbs), Delphinium, Pansies, Snapdragons, are just a few winter loving plants for your landscape. And most of these plants bloom when other plants are dormant. Ohhh. That’s what I am going to say from now on. I am not lazy, I am dormant. I like it! As always, call the nursery with any questions.